The Vertical Platform Lift (VPL) is a great alternative to an elevator, whether it be a space restraint, travel distance or needing a cost savings code compliant commercial lift. 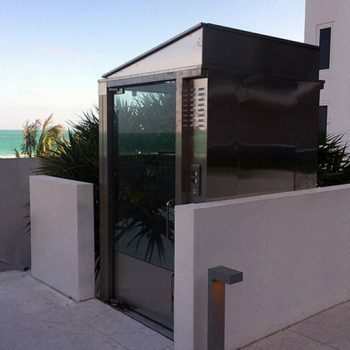 VPL’s come in many different configurations, from complete enclosed hoistways to open air hoistways, from in-line openings to front and side openings with power door and gate operators. With a max lifting capacity of 1,050 pounds and a max travel speed of 30 feet per minute, there is a VPL to fit almost anyone’s needs. VPL’s can be installed indoors or outdoors. 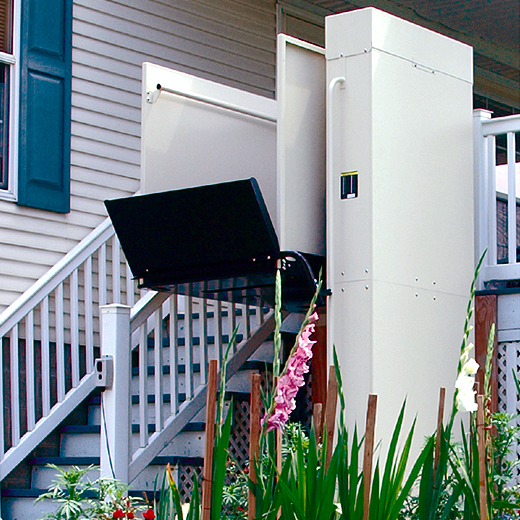 While some models are made from Stainless Steel, most VPL’s come in a durable powder coated steel finish for even the most demanding climates. Suitable for installations in public and commercial buildings, as well as private homes, VPL’s feature an extremely versatile design that can be configured and customized to suit virtually any project requirements and aesthetic needs. They are a great way to provide mobility for people who have a disability and the building design does not allow the space needed for a handicap ramp. VPL’s can be powered by either an Acme screw drive or a roped hydraulic piston. Both types of drives have the ability to have a battery backup system that will allow normal use of the lift when the main power is not on. With a multitude of safety features including sensors to stop the lift if it senses an obstruction, each lift complies with both national and local codes. VPL’s can be mounted either in a 3” pit or on a solid flat level surface. 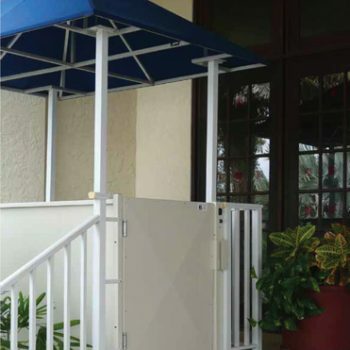 If no pit is provided, either a stationary ramp or an automatic folding ramp will be installed with the lift. 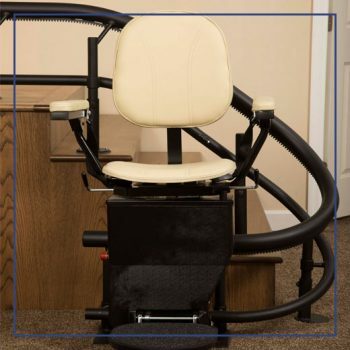 If you have stairs that seem to be getting longer, now might be the time to consider a stairlift. Whether your stairs are straight or curved, indoors or outdoors, Gulfside Elevator has the stairlift that will work for your needs. Stairlifts are a safe and economical way to keep your freedom without the worry of going up and down the stairs. 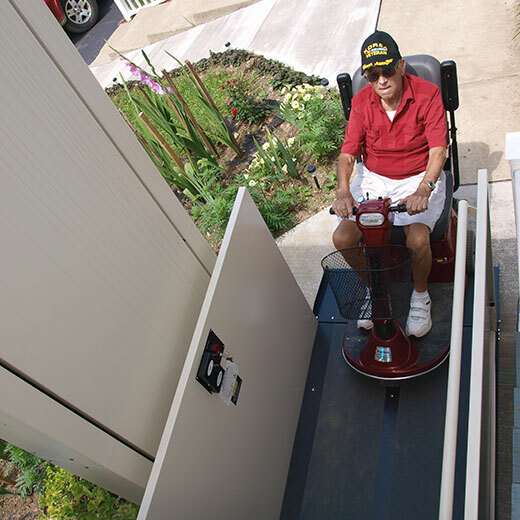 Most stairlifts work off battery power and only need a standard wall outlet to keep them charged. 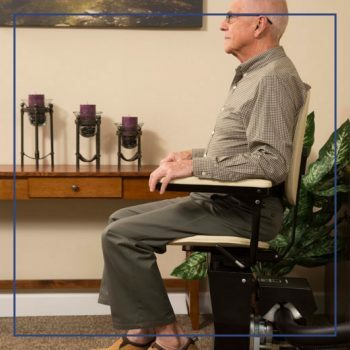 In the middle of a power outage, feel confident in knowing that your stairlift has the power to get you up and down your stairs multiple times before needing to be charged. 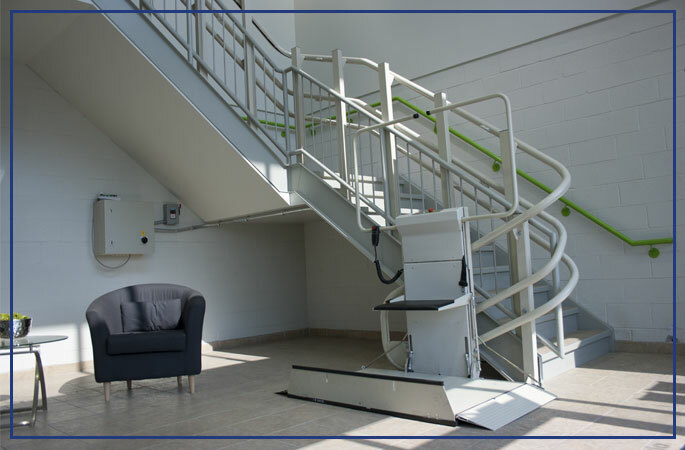 If you are in a commercial building and have some stairs that might be challenging for some, we have the stairlift that will comply with the safety codes for commercial lifts. 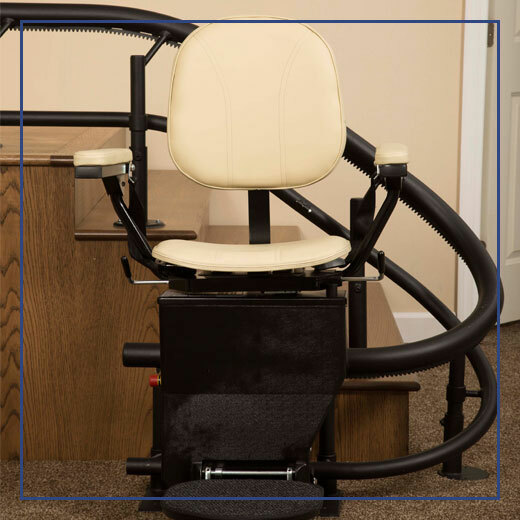 From the State required permit, to installation, to continued service in the future, Gulfside Elevator has the trained personnel you rely on to properly install and maintain a safe running stairlift for your building. Stairlifts can usually be installed in just a few hours. If you have a curved staircase, intermediate landing or just need a stairlift with out of the way parking we have the stairlift for your application. With a max capacity of 350 pounds, stairlifts provide you with a smooth, comfortable and reliable ride. Stairlift are easy to operate with controls on the armrest as well as two included remote controls. With the onboard diagnostic display it allows you to know of any service issues. 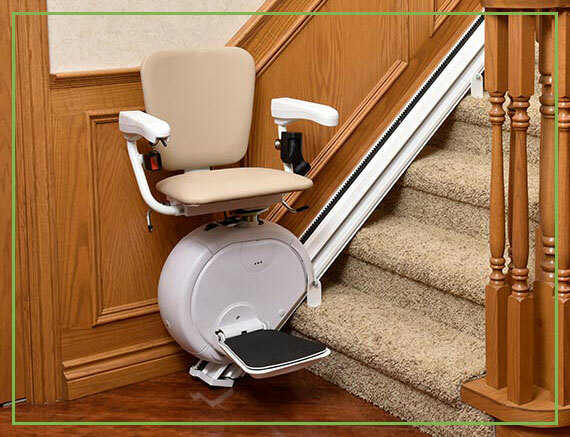 Call Gulfside Elevator today to find a stairlift that will fit you need. If space is an issue and all you have is a flight of stairs, an inclined platform lift may be just the answer. 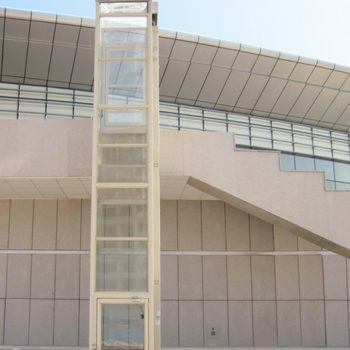 The inclined platform lift can carry a wheelchaired passenger up and down a single flight of straight stairs, curved stairs or stairs with intermediate landings. Needing only one side of the stairs to mount the rails for the chassis to travel on and with a folding platform, the inclined platform lift allows for unobstructed use of the stairs when not in use. 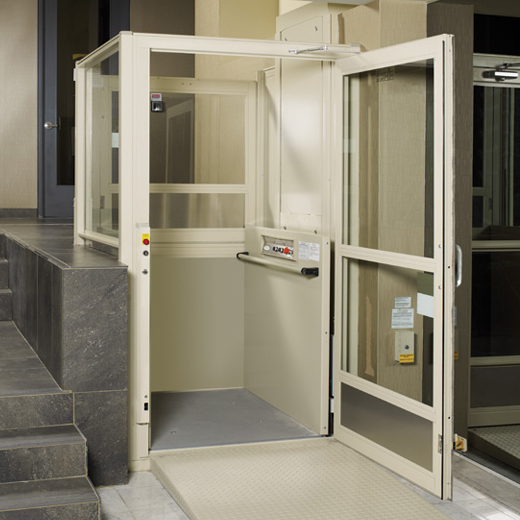 With applications for both home and commercial, these lifts are well suited for where an elevator or vertical lift is not easily accommodated. With no additional space needed for a machine room, the motor is housed on board the unit. 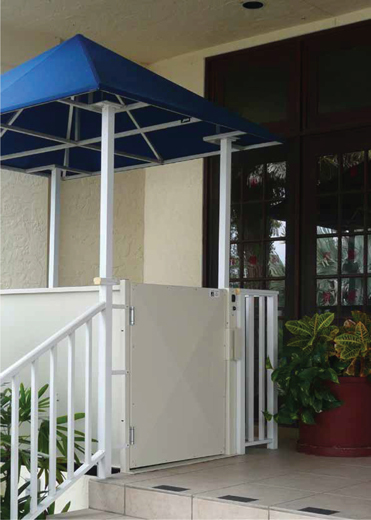 Available in a ADA-compliant size, making it a great choice for schools, churches and other public buildings. The operating system and motor are battery powered allowing it to operate seamlessly through a power failure.